The probiotic yeast Saccharomyces cerevisiae boulardii is an active microorganism extracted from tropical fruit, e.g., lychee and mangosteen skins. The probiotic Boulardii produces polyamines, like spermidine and spermine, the two molecules that aid in the repair of damaged mucosa and protect it from further damage. Ingredients: Saccharomyces boulardii, maltodextrin, vegetable capsule (hydroxypropyl methylcellulose). Suggested use: 1-2 capsules daily, or as advised by your doctor or therapist. Take the capsules in the evening, at bedtime, on an empty stomach, with half a glass of room-temperature water. 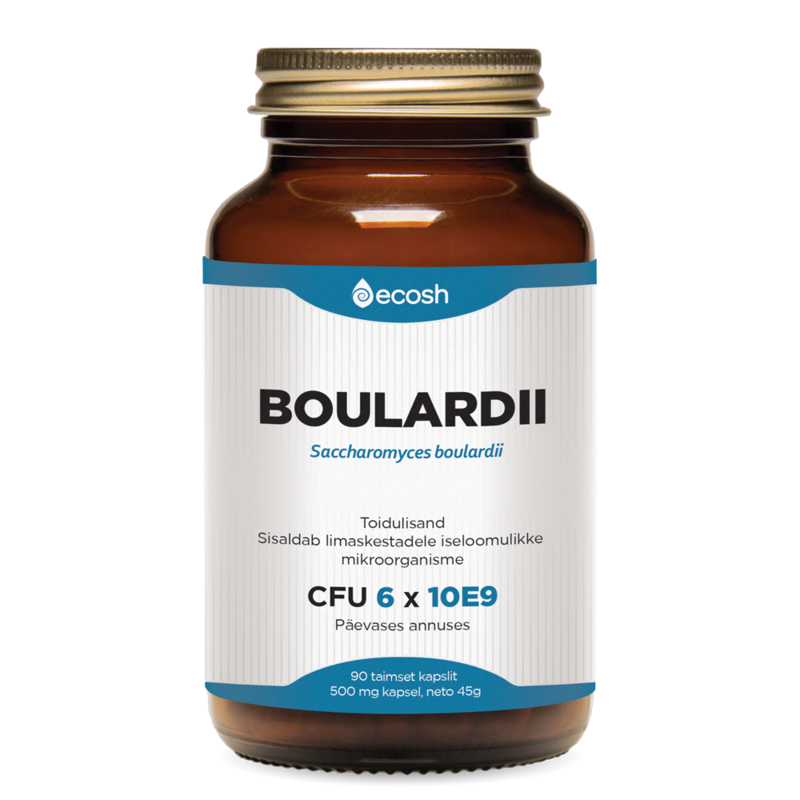 In case of oral and throat problems, boulardii may be sprinkled straight to the mucous membrane. In daily dose is CFU 6 x 10E9.